Sevillanas compilation on a double CD, inlcuding 60 sevillanas to dance.The "Sevillanas" are one of the most popular flamenco singing.The most widespread flamenco rythm or "palo" in the world is the "sevillana". P'Alante is much more than a collection of eleven songs. Los del Rio are undoubtly the most popular group of this year. Contains Duets with Isabel Pantoja, Rocio Jurado, Montserrat Caballé, Azucar Moreno y Los Chicos de mi Barrio. 'Ya es primavera' is Plaza Nueva's new album, an album full of sevillans created to discover the Andalousian spring. Plaza Nueva is a reference in the world of the Andalousian music. This album is offen used by danse schools thanks to it compas and art. You will find all kinds of sevillanas with a very precise compas. It is an ideal album for the 'ferias' and parties. This Sevillanas double CD contains 24 songs. A perfect disc to listen to and for dancing. 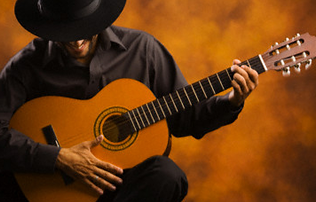 The sevillanas are, without no doubt, the most popular flamenco song. This cd is an unbeatable chance to get the best Sevillanas ever.